It’s Day 2 of my Pseudo- Atkins diet (I’m calling it Pseudo because I’m just forgoing obvious carbohydrates like bread, rice and noodles and I’m still eating my fruits because I can’t live without them). The hardest part for me is eating breakfast without bread. Those who know me well know that I bring a sandwich to school every single day. I basically live on bread. Now I have to replace bread with yogurt and since today marks the start of my mugging fiesta, I decided to make a nice big breakfast for myself without the bread. 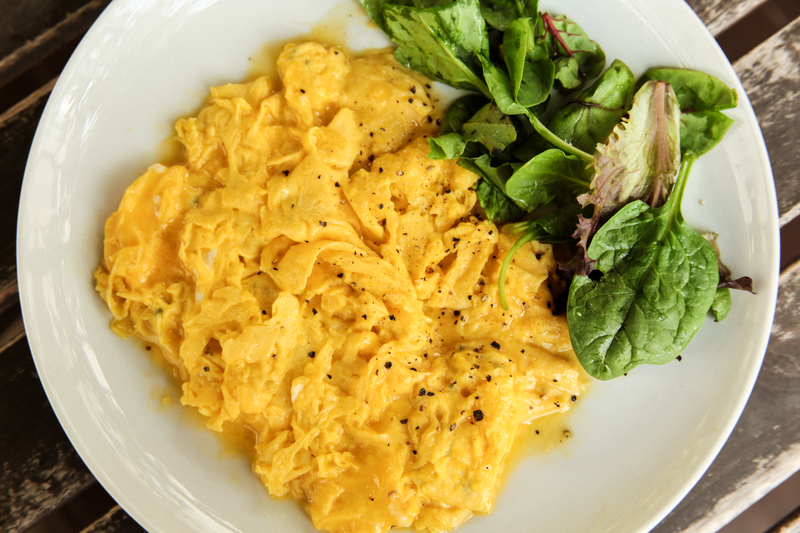 But the point of this post isn’t to talk about my diet (which I foresee is going to fail soon but I have faith in myself) but to talk about this amazing scrambled eggs that I learnt to make from ladyandpups.com. 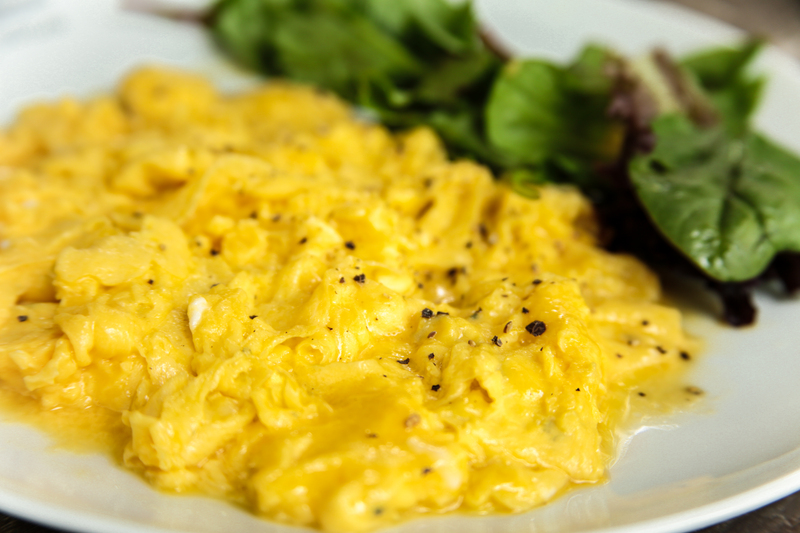 It may not be the most authentic scrambled eggs but hey, I can get my scrambled eggs fix in 15 seconds so why not? Masterchef Aloy (my amazingly talented friend who cooks with science) saw my photos and said that my eggs looked watery and ‘bled’ because I salted them before cooking. So, don’t salt your eggs before you cook them because Science said so. 1. 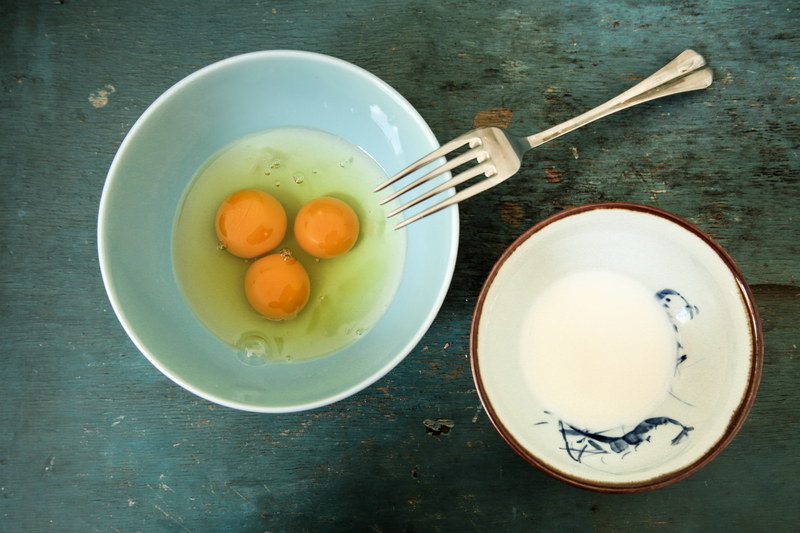 Whisk eggs in one bowl. 2. 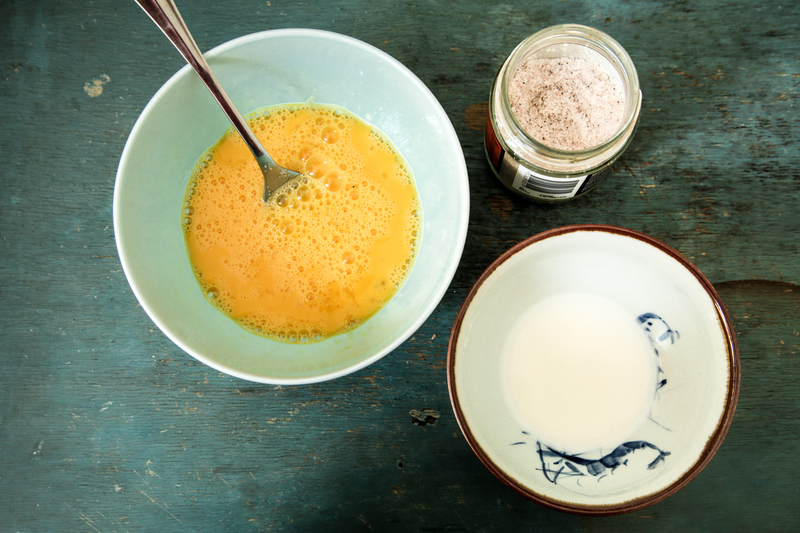 Whisk milk and cornstarch in a separate bowl. 4. Heat up non-stick pan. 5. Add butter, and when butter is sizzling, pour mixture into pan. 8. Immediately transfer to a plate. Do not wait till they are fully cooked! Reblogged this on Eat Glitter & Shine All Day.